Aspri Spirits introduces Tito’s Handmade Vodka to India. The vodka is produced in Austin at Texas’ oldest legal distillery and made in batches, using old fashioned pot stills. Tito’s handmade Vodka is certified as Gluten-Free by the Gluten Intolerance Group (GIG). The brand was founded by Tito Beveridge in 1992. Tito’s distills its corn mash six times and uses corn for a very specific reason, essentially because they believes corn retains some of its smoothness after distillation. Recognized as the Spirit Brand of the Year 2014 by Wine Enthusiast Magazine and Spirit Brand of the Year 2016 by Market Watch Leaders. This monsoon try out some ingenious recipes to lift your spirits with Tito’s Handmade Vodka, America’s original craft vodka, that is produced in Austin, Texas using old fashioned pot stills. A distinctive vodka brand that is naturally gluten-free, makes for a perfect drinking companion to energize you on a lazy rainy day. Try these recipes at the comfort of your home. Fill a chilled copper mug with ice. 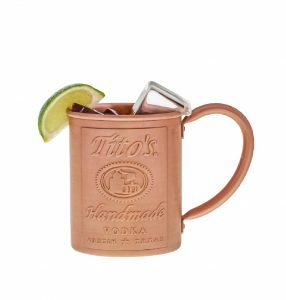 Add Tito’s Handmade Vodka, fresh lime juice, and ginger beer. Combine Tito’s Handmade Vodka, blood mary mix and ice in a cocktail shaker. Shake well, an pour everything, including the ice, into a glass. Go wild (it doesn’t make you a bad person). 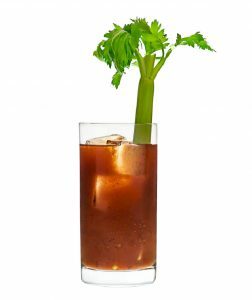 Try celery stalks, olives, dill pickles, pickled green beans, lemon, parsley, bacon, cheese cubes, boiled shrimp, etc. 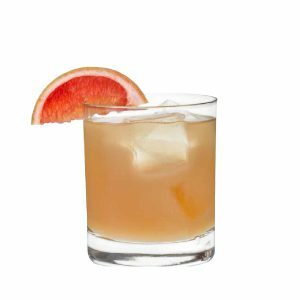 Grapefruit juice (we prefer fresh-squeezed). over fresh ice. Top with soda water. Top with green tea soda. Build in a hi-ball glass with cubed ice and garnish with candied ginger & dehydrated lemon slice. Stir in mixing glass with cubed ice and serve in a rocks glass over single ice block and garnish with orange twist. Add all ingredients to shaker and shake with cracked ice. Double strain into wine glass over cubed ice and garnish with dried apricot. Build in hi-ball glass with cubed ice and garnish with an orange wedge. 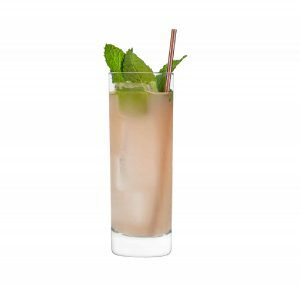 Stir all ingredients with cubed ice in a mixing glass and strain into chilled coupette. Serve with shortbread. Stir in Mixing glass and serve over ice block in a old fashioned glass. Garnish with star anise piece. Shake all ingredients and strain into hi-ball glass with cubed ice. Top with soda water and garnish with flamed thyme and green apple slice. Shake all ingredients and strain into chilled coupette and garnish with orange twist. Stir all ingredients together and strain into chilled sherry glass and garnish with fresh cherry. Shake all ingredients with cubed ice and strain into a chilled martini glass and garnish with single mint leaf.